Arma 3’s April Fools joke turned DLC, Arma 3 Karts has been used to support the Czech Red Cross. Bohemia Interactive will donate a million Czech koruna to the charity from sales of the DLC. That’s around £30,000 or $50,000. 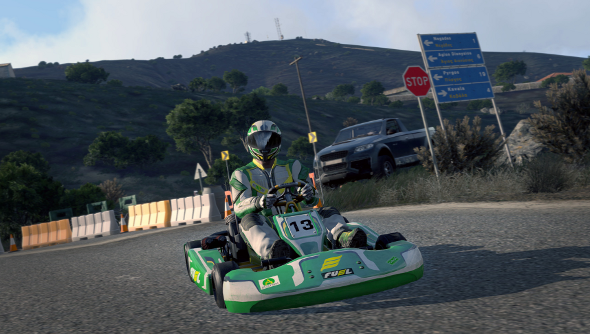 Arma 3 Karts was a gag that became reality thanks to the community’s reaction to this year’s April Fools trailer. It was also an opportunity for Bohemia to test out a new DLC model, where premium DLC will also come with features for everyone; the studio doesn’t want to leave anyone out. Since it’s a fun, little diversion instead of more simulated military shenanigans, Arma 3 Karts is appropriately cheap. It’ll only set you back £1.19/$1.99, or you can get it in a bundle with with two future pieces of DLC.